The lotus flower is often associated with China and Chinese culture. The lotus frequently features on traditional Chinese paintings. What is less known is that the lotus plant is an important food as well, particularly its pods. The lotus is sacred and regarded as a special symbol of Buddhism in China, being a favorite icon of the Goddess of Mercy. She is often depicted standing or sitting on an enormous lotus flower. Lotus buds, carefully folded back, are often sold outside her temples so devotees can buy them as offerings. In China, it is the flower of summer, just as winter is best symbolized by the peach, spring by the orchid and autumn by the chrysanthemum. The lotus has appeared frequently in Chinese literature. The poet Han Yu (768-824) once sang praises of the lotus root and described it to be “sweet as honey, icy as frost, a slice in the mouth heals all sickness”. The Qing emperor Qianlong (1711-1799) compared it to “the snowy white, slender curved arm of a beautiful woman”. Several parts of the lotus plant are eaten. The bright green shoots hidden inside the lotus seeds are intensely bitter. They are collected, dried and used in infusions meant to clear the heat from tired bodies. They are a traditional cure for pimples and acne as well, and young girls wanting a clear complexion willingly drink the bitter brew. The seeds, however, are sweet and nutty and are eaten fresh, straight from the pod, or dried and preserved. They are rehydrated and cooked in stir-fries and in soups both sweet and savory. The nuts are also ground down into a sweet paste that is popularly used in Chinese cakes and pastries. Lotus pod is actually a misnomer, because the most famous edible part of the lotus is actually the swollen stems, which grow underwater, and not the actual roots, which appear like beards along the noded segments. It is for these that farmers grow the lotus, and there are about 500,000 to 700,000 hectares under cultivation all over the country, depending on demand. The most famous producers are concentrated in Hubei province, especially around the city of Wuhan. However, the lotus root is such a popular vegetable that it is grown wherever there is water, from the peaty, black-earthed regions of China’s northeast to the riverine hinterlands of both the Yellow and Yangtze rivers, to the coastal provinces down south to the island of Hainan. China has produced 11,222,000 mt of lotus pods in 2017 and exported 30,000 mt in the same year. Lotus pods can be eaten raw. They are juicy and crispy and have a rather neutral taste. In traditional Chinese medicine, lotus pods are cold food and hence an excellent refreshment during a hot day. According to Chinese medicine, lotus pods strengthen the spleen and the stomach and relax strained nerves. The China Research Institute for Nutritional Resources in Beijng has found the following composition of nutrients in lotus pods (per 100 gr of fresh lotus pod). Lotus pods are most frequently processed into slices. Lotus pods slices can be sold dried, fresh, canned, etc. The are an ingredient in many traditional Chinese dishes, like birds nest soup introduced in another post of this blog.. The following video shows the processing of dried lotus seed. Honeyed Lotus Root Stuffed With Sticky Rice (guihua lian’ou; literally: ‘osmanthus flower lotus root’) is one of the traditional ways of preparing lotus roots. 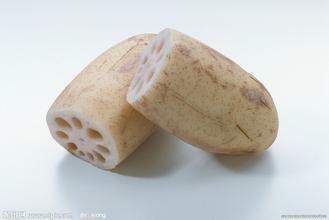 The interior root chambers filled with sticky rice then slowly cooked so that the lotus root’s starchy sweetness fully develops, and turns from pale white to deep red-brown (much like a quince) and the rice grains plump up to fill the long tubular spaces within the lotus root, giving it that characteristic appearance when sliced. After removing a root from its syrupy bath the cook will slice it into centimetre-thick slices. Lotus root is most abundantly harvested in autumn, and has naturally become part of the feast for the Mid-Autumn Festival. One of the reasons it is widely used in cooking of autumn dishes is because of the Chinese culinary tradition of “eating local, eating seasonal” which was born out of the belief that food in season is the best gift from nature. In the case of the lotus root, traditional Chinese medicine practitioners claim that the aquatic root vegetable is best for relieving summer heat and autumn dryness. While the lotus root is widely used in soups, cooked with pork ribs and stir-fried sweet and sour style, it is usually presented as an appetizer, or cold dish, during autumn. 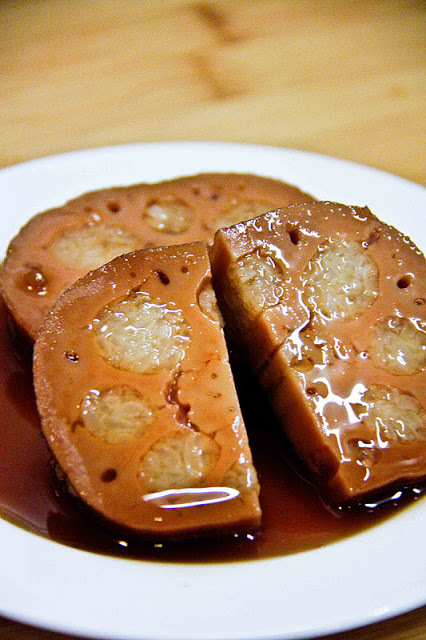 Candied lotus root stuffed with slow-cooked glutinous rice and topped with osmanthus jam is one of the most common starters. This dish was once native to the east China region where diners liked having something sweet to start the meal. These days, the dish is popular all over the country, attracting loyal followings with the shiny lustre of the osmanthus syrup, its appealing fragrance, and above all, the soft and sticky lotus root, cooked to a melt-in-the-mouth mealy texture. A second traditional product is lotus pods powder (oufen in Chinese). The 40 odd top producers produced 14,000 mt of lotus pod powder in 2012. Cleaned pods are crushed in water and filtered. The filtrate is then set aside to let the lotus powder precipitate. 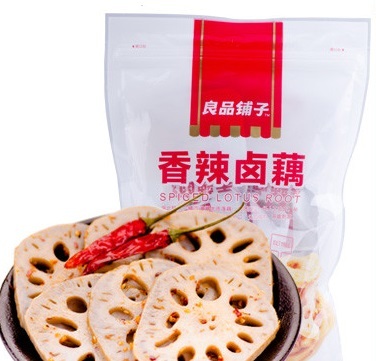 Tianfeng Food Co., Ltd. (Hangzhou, Zhejiang) produces a lotus pod powder with lotus seeds and scented with osmanthus flowers. Lotus pod powder is currently available in various adapted versions. Wanglong Food Co., Ltd. (same) supplies a sugar free lotus pod powder, sweeetened with iso-maltitol and enriched with dairy calcium. 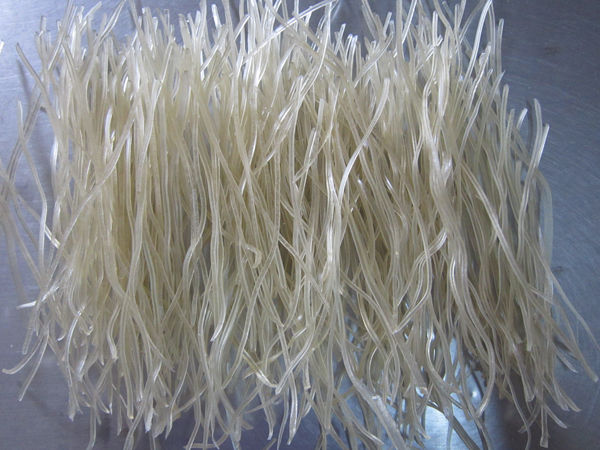 Another popular product is lotus rood vermicelli, or fensi in Chinese. This vermicelli is made from the starch of lotus root. It is a natural green food with no preservatives or additives, with a long shelf life. When it is put in boiling water, it gets soft and flexible easily and can be put in soup, fried dishes, hot pots, casseroles, cold dishes, or stewed and other dishes After cooking, it is clear and its liquid is transparent. It is called “the king of vermicelli” because of its easy digestion and claimed aid in reducing body fat. A major manufacturer is: High Mountain Natural Longevity Food Co. (Dahua, Guangxi). An example of an innovative product are Liangpin Puzi’s ‘spiced lotus pods’. 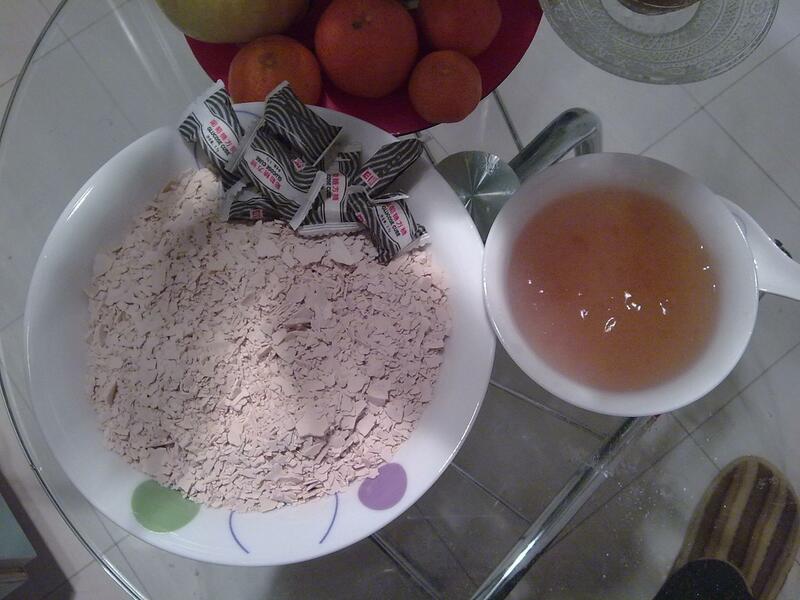 The ingredients are: lotus pods, sugar, chili pepper, salt, chicken powder, MSG and spices. An intriguing alternative for crisps to accompany a cold beer. Also look at the vinegar lotus eggs in my post on innovative vinegar-based foods and beverages. This entry was posted in Uncategorized and tagged China food lotus pod powder nutrition by eurasiaconsult. Bookmark the permalink.